Amazon Web Services today announced Alexa for Business, a new service that provides voice control for office tasks. The Alexa intelligent assistant can help start conference calls, control conference room equipment, schedule meetings, keep track of tasks, notify IT of an equipment issue or reorder supplies, the company noted in a news announcement. The service can also be customized to voice-enable an organization's specific IT applications and office systems. 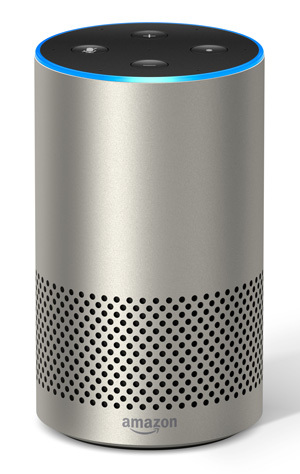 "Tens of millions of people already count on Alexa at home, in their cars and on mobile devices to answer questions, provide news and information and stay connected to friends and family," said Peter Hill, director productivity applications for AWS, in a statement. "Alexa for Business extends the simplicity of voice control to the workplace, while adding powerful tools to help businesses deploy and manage devices, create skills, and deliver voice-first experiences in a scalable way — all backed by the AWS Cloud." The system can be set up with Alexa devices for individual users (such as on an employee's desk) as well as shared devices in common areas like conference rooms, huddle rooms, lobbies, etc. Alexa for Business also includes "tools to set up and manage Alexa devices, enroll users and assign skills," the announcement said. A number of third-party providers have integrated Alexa functionality into their applications, including Salesforce, Concur, ServiceNow, Splunk, Polycom, Crestron, Zoom and others. The systems also works with Microsoft Office 365, Microsoft Exchange and Google G Suite. An Alexa for Business Starter Kit is available, featuring three Amazon Echo devices, two Echo Dots and two Echo Show devices. For more information, visit the AWS site.